Back with the psychic disciplines! Telekinesis is one of the more popular choices able to be taken by Space Marines, Space Wolves, Blood Angels, Dark Angels, Grey Knights, Chaos Space Marines, Imperial Guard & Tyranids. Aka lots of Marine based armies. There's a nice mix of powers here in terms of what each does which is a double-edges sword. Lots of utility but not much focus. Anyway, let's look. Primaris - Assail. A S6 attack with range 18" and strikedown, no AP and it's a beam. 18" Beams are nice but with only S6, the beam will weaken pretty quickly though it does give you a better chance of forcing a unit to move through difficult terrain. The lack of AP means though against MEQ units, getting this effect isn't as likely unless you manage to tag six models from the same squad. Even then, with strength reduction you're not even averaging three wounds... All in all not great but not completely useless. 1 - Crush. Focused witchfire with 18" range. Aka snipe spell with randomly determined 2D6 strength and D6 AP. Roll of 11/12 = automatic wound/penetrating hit. A nice spell for sniping models or trying for that last hull point of damage on a vehicle but not reliable at all. You could get an automatic wound but AP6 or a strength of 2 with an AP1. Forces saves on a particular model though which is always nice but again, consistency isn't really there. 2 - Gate of Infinity. It's the exact same as Codex: Space Marines. Pass a psychic test, pick up unit, deep-strike it 24" away. 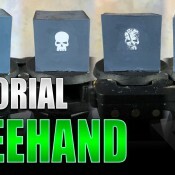 This is great for positioning models early game, flanking with a squad or getting out of trouble. Yes, it can be used in combat. For foot assault units this can be used early game to move up the field quickly but shooting units really take advantage of this in being able to quickly re-deploy when confronted with a closing opponent, to take advantage of terrain/flanks, etc. The deep-strike can scatter you away but as long as you aren't too brazen with the unit, extra mobility isn't a bad thing. 3 - Objuration Mechanicum. It's a utility spell and tank damaging spell all put together. Nice. And it has a range of 24" so isn't useless most of the game. An enemy unit suffering from this must re-roll all To-Hit and To-Wound rolls of 6. This is great flyer defense (forcing the opponent to re-roll successful flyer hits unless they have Skyfire) and Rending defenses (forcing opponent to re-roll successful Rends). It generally won't reduce the firepower capacity of your average unit too drastically however, particularly if they hit/wound on something like 3's. Against a unit with lower BS or strength though, re-rolling half your successful wounds is quite limiting. The icing on the cake here though is each vehicle (potential squadron) hit by this power suffers a S1 Haywire hit. Great for stripping hull points. 4 - Shockwave. Another Nova spell, this one with range 12" so it can get a lot more enemy units. It's only S3/Assault D6 however and no AP. You can do a lot of damage to multiple Guard units if you can catch a lot but with 12" range, that's unlikely to happen. Against anything tougher though, you struggle to wound them and aren't breaking their armor. Hell, Fire Warriors laugh at 75% of hits caused by this attack and if you're within 12" of a Fire Warrior unit, you're nearly always better off assaulting. The Primaris power has more utility here so I'd probably be swapping this out. 5 - Telekine Dome. It's like Force Dome from Codex: Space Marines... but with some changes. A target unit gains a 5++ against shooting only. Each successful save reflects the damage done to an unengaged enemy unit within 6". The 5++ is nice though limited as it's not in combat and with the damage reflection being 6" - any unit which needs a 5++ from shooting needs it in combat as well. This limits its uses as a bubble-wrap power of choice but is still useful nonetheless. 6 - Vortex of Doom. Codex: Space Marines? Exact same except Warp Charge 2 - 12" range with S10 AP1 blast. Great against vehicles. Great against infantry but Heavy 1 Blast means you need some way to move and shoot with it, otherwise it makes you stationary and with range 12" - that's not going to work. Luckily being Warp Charge 2 means most psykers will simply re-roll if they get this. It's a nice power - if you're capable of moving and shooting with it which you often need to buy extra gear for (i.e. Terminator Armor). The one psyker which generally has Level 2 comes with Terminator Armor already (GK Libby), so that's not really an issue. There are some good damage spells here but its the utility spells in Gate & Objuration which take the cake for this discipline. There are unfortunately some pretty bad powers as well and the Primaris isn't that great. 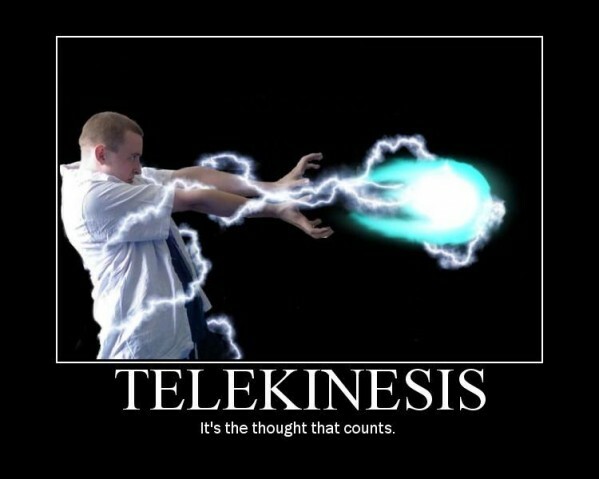 For a lot of armies with access to multiple disciplines, using your extra roll on the Telekinesis table to see if you get a good power isn't a bad idea unless you got a good roll on whatever other table and then are looking to take something else (i.e. Divination Primaris).